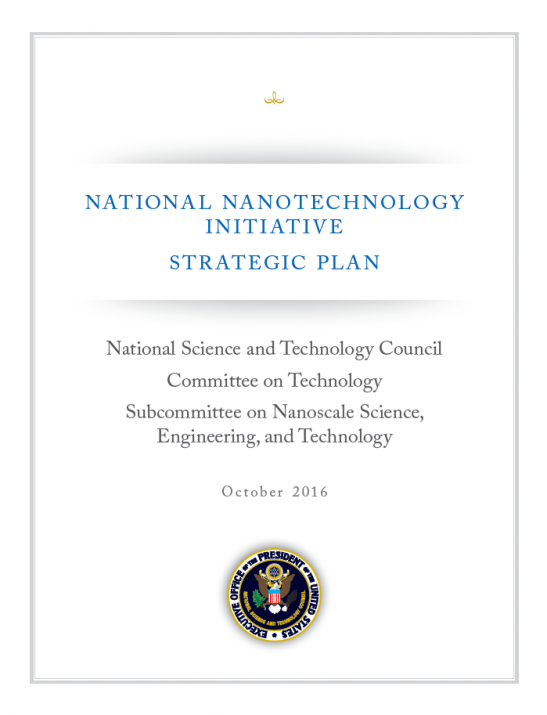 This update of the NNI Strategic Plan satisfies the requirement of the 21st Century Nanotechnology Research and Development Act of 2003 and replaces the prior NNI Strategic Plan released in February of 2014. This document represents a consensus among NNI agencies on the high-level goals and priorities of the initiative and on specific objectives to be pursued over at least the next three years. The plan provides the framework under which individual agencies conduct their own mission-specific nanotechnology programs, coordinate these activities with those of other NNI agencies, and collaborate.